During the haldi (or pithi) ceremony, the bride and groom are each adorned with a paste made from turmeric. The yellow color is considered very auspicious, so the ceremony is intended to ensure a life of prosperity for the couple. It also happens to be fun, messy affair with songs and dancing. 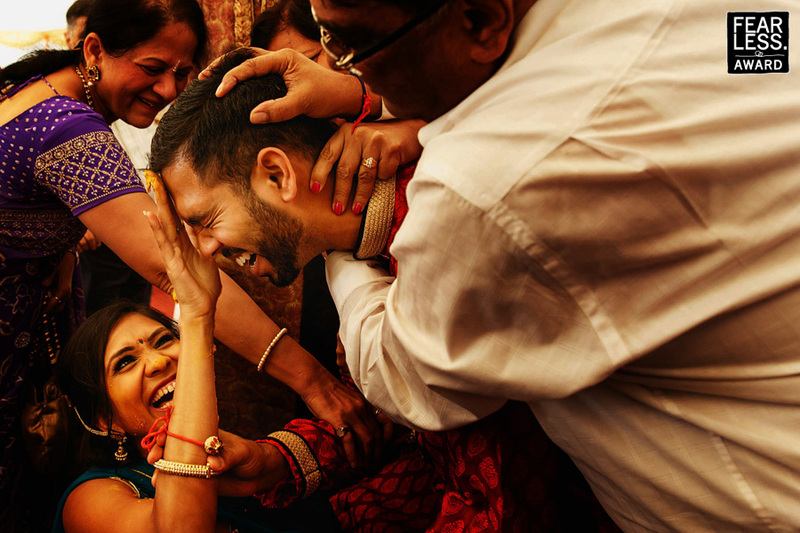 The photographer caught that energy in this shot as the whole family joins in to help usher the groom into adult, married life.